Long ago, when people defined years by saying B.C. (Before Computers), people put blotters on their desk. While the need for a blotter may have faded over time, and have been replaced by the keyboard and mouse, many people miss the look that a blotter added to an office. If that sounds like you, check out the AUKEY XXL Gaming Mouse Pad, which may just be the perfect blend to give your desk a touch of elegance with 21st century functionality. In the very early days, when people used ink wells and later fountain pens, blotters were hand-held devices with a curved base and a pad or paper on the bottom. Because ink from the pen did not dry quickly, the writer would roll the blotter over the writing to absorb, or “blot” the ink dry. As ink and pen technology advanced, blotters were no longer needed, and they transformed into desk blotters. For those of you that may never have seen one, a desk blotter was a large sheet or pad of paper that was mounted in a frame, usually made of leather or vinyl. The center section of the blotter was often used as a scratch pad to jot down a quick note or a phone number. 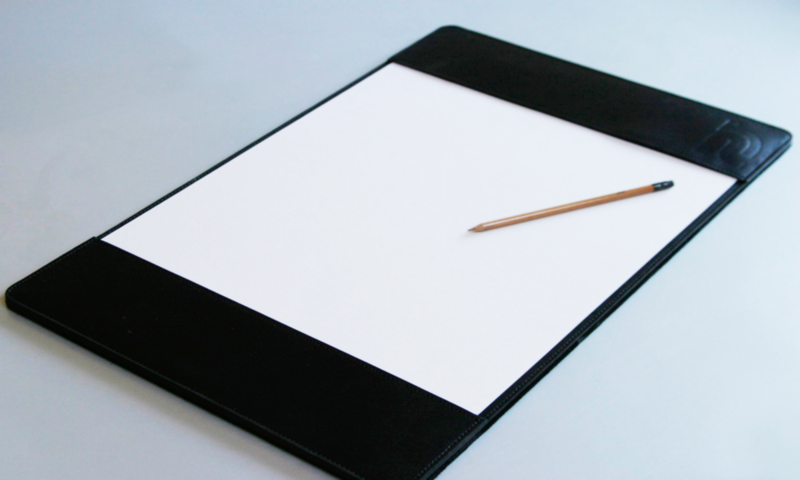 If the blotter had a pad of paper in the center, the user could tear off the top sheet when it was filled and start using the next clean sheet for more notes. Sometimes, the center section was formatted as a calendar and was the primary tool for keeping track of your daily schedule. At times, companies would distribute desk blotters around the holidays with special formatting that their customers could use throughout the year to interface with their business, which was usually prominently displayed on every page of the blotter pad. With the introduction of things like day planners, palm pilots and eventually cell phones, the desk blotter faded into near extinction, with that desk space taken over by the keyboard, mouse and mouse pad. But many people also used a desk blotter as a desk accessory merely to enhance the appearance of their desk. Some people considered the desk blotter a status symbol or a decorative addition to their office and missed not having it on the desk. The AUKEY XXL Gaming Mouse Pad (Model # KM-P3) is easily the largest mouse pad we have ever seen. It ships rolled-up in a long box and you really don’t appreciate its size until you take it out and unroll it. Also, in the box is a User Manual, a 24-Month Warranty Card and the 45-day Money back Guarantee. The mouse pad measures 35.4” x 15.7” x 0.15 (900mm x 400mm x 4mm), and easily accommodates a full-size keyboard and mouse with room to spare. 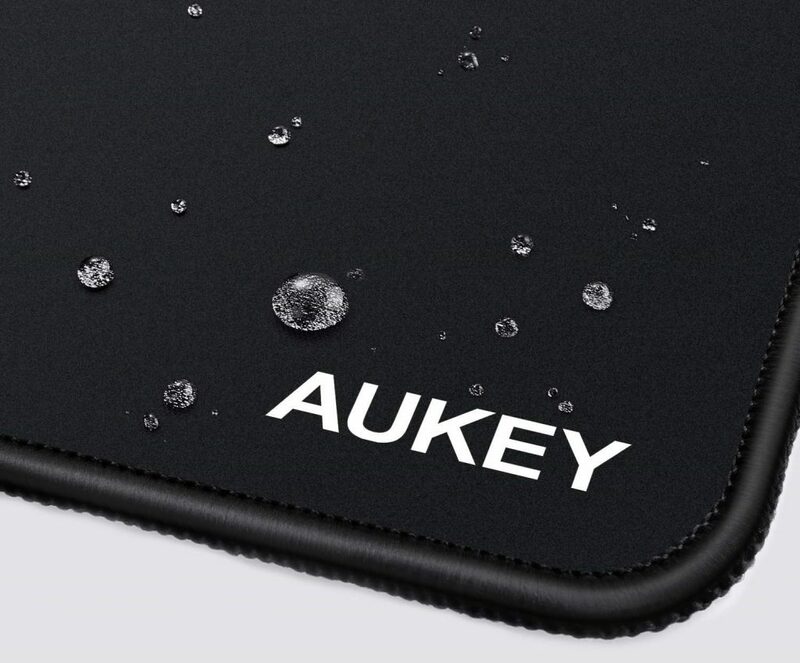 The top surface of the AUKEY XXL Gaming Mouse Pad is made of a soft cloth that will work well with any mouse style, including the older rubber tracking ball or the LED models. The underside is a soft rubber material that not only prevents slipping across the desk surface but also adds a layer of cushion to your desktop surface. Depending on how you position your keyboard, it could even serve as a wrist rest while typing. 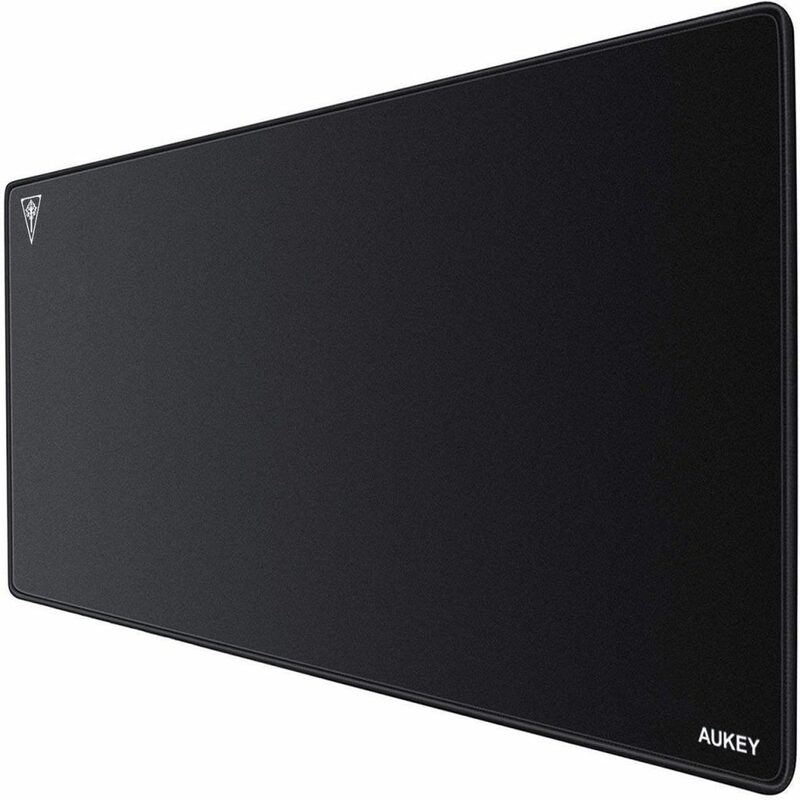 The AUKEY XXL Gaming Mouse Pad has a small logo on the upper left corner and the AUKEY brand on the bottom right but neither is overly obvious and we appreciate that it leaves the mouse pad suitable for even the most professional office setting. Admittedly, we never expected that this world be a product we would look at since we are not gamers. Having tried it, we are hooked and think AUKEY should drop Gaming from the product name to broaden the potential audience. Aside from the overall look on our desk, we love the feel of the mouse pad. We especially appreciate that we no longer “run out of room” when trying to drag and drop a file, the way we often did with a conventional mouse pad. The top surface is spill resistant and while we wouldn’t want to test it with a heavy spill, it should easily handle the occasional coffee or water drip. We also like the stitching and the rounded surface around the outer edge which gives a nice finished look to the entire mouse pad. The AUKEY XXL Gaming Mouse Pad may be great for gamers but don’t let the name fool you. This is a great mouse pad for any desktop. The soft fabric top surface and extra large size will complement any desk and make your typing and mouse movement much more pleasant. Like all AUKEY products, the AUKEY XXL Gaming Mouse Pad is available from Amazon. We would like to thank our friends at AUKEY for providing us with the AUKEY XXL Gaming Mouse Pad for our testing and review. 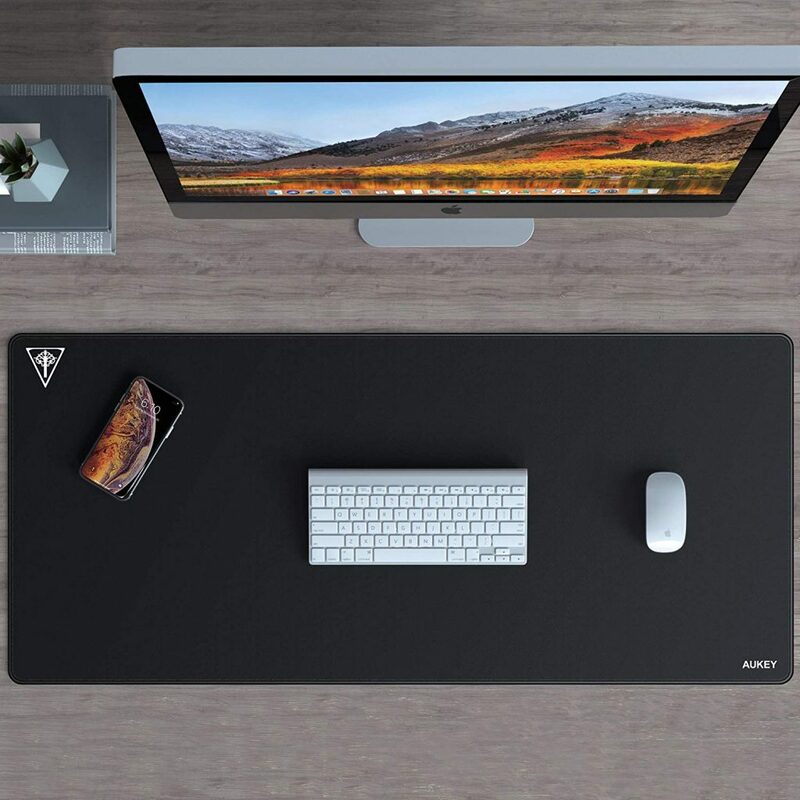 What is your favorite mouse pad and how do you configure your desk? Why not joint the conversation and add a comment below.